Wed, February 13, 2019 11:30 A.M. 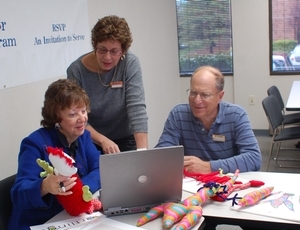 The Regional Foundation Center is pleased to offer Expert Office Hours with Volunteer Executive Consultants (VEC) from RSVP. On the second Wednesday of each month, VECs will be available for one-on-one 45-minute management consulting sessions to assist you with a project or goal related to the month's topic. This month's topic Fundraising: . Space is limited so register today! Questions? Contact the Regional Foundation Center at nonprofit@freelibrary.org.